The Jaadu collections show our unique and elegant clothing, homeware, soft furnishings, accessories and gifts. With a strong focus on fair trade and traditional crafts, natural fabrics and hand weaves, they remain modern, individual & stylish. Jaadu's SS19 clothing collection is a stunning showcase of traditional Indian crafts and contemporary designs - cotton khadi, ikat weave, minute detail and beautiful natural materials. Featuring Raga as well as Jaadu’s own classic designs like the silk dupion jacket range, cotton tunics and lightweight nightwear. Shop in store or online. Present... is a sustainable collection of block printed cotton accessories. From weekend holdalls, shoe bags and makeup bags, to essentials like eye masks and glasses cases. Read more about the process behind Present... in our magazine article dedicated to Ojjas here. Jaadu Collectables are enchanting, unusual and often curious items sourced by Janine in India. 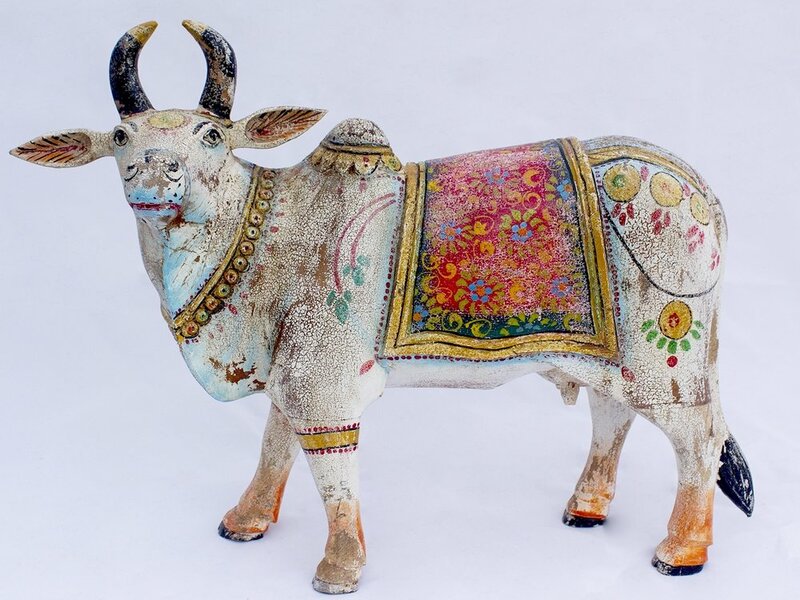 Enticing homewares and interior decoration crafted using time-honoured techniques such as brass work, papier maché, carving and delicate miniature painting. Jaadu Jewellery combines classic, timeless shapes in gold vermeil, tribal and vintage bracelets and earrings and a selection of other distinctive, ethically produced or hand made pieces from designers here in the UK. Jaadu's kantha stitch dressing gowns and coats have become a staple of elegant style and traditional craft. Kantha stitch is a time old embroidery technique from India, as practical as it is decorative. Jaadu Gifts features individually selected objects and accessories from Janine's travels to India, mostly hand made using traditional technique and craft.